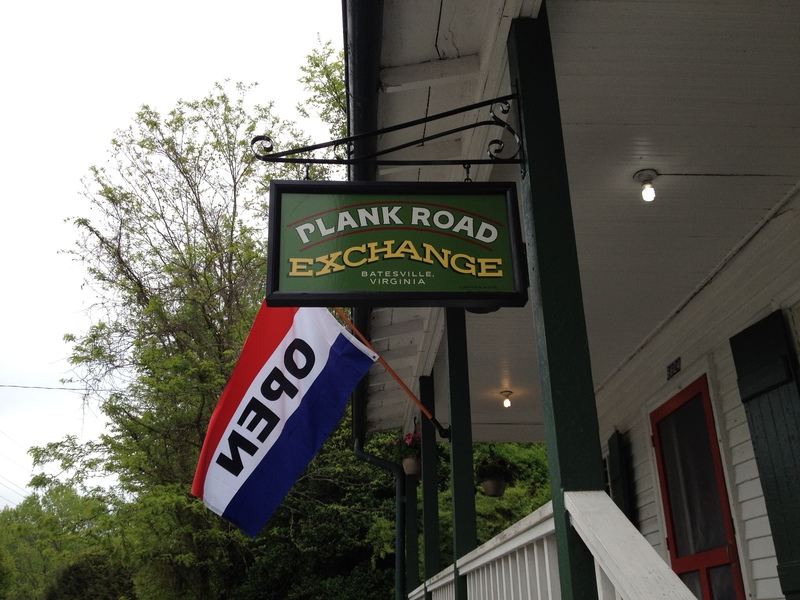 The Plank Road Exchange in Batesville is open. For some thoughts on the value of place and #placemaking, take a look at some of Charlottesville Tomorrow’s tweets from last night’s gathering. The “plank” road was introduced in the United States from Canada, where some 500 miles were laid between 1834 and 1850. A typical plank road had a single track about eight feet wide, with the planks placed crosswise. Later, they were inclined slightly to allow rainwater to drain. East of the mountains, two principal routes led from where Richmond stands today deep into the interior. One was a path to the settlements that were to become Lynchburg and Roanoke, a course now followed approximately by U.S. Routes 60 and 460. The other was the Three-Chopt Road or Three-Notched Road to Albemarle, where it connected with another path leading across the mountains at Afton and into the valley. Its name came from the way it was marked to guide travelers, with notches cut on the trees.